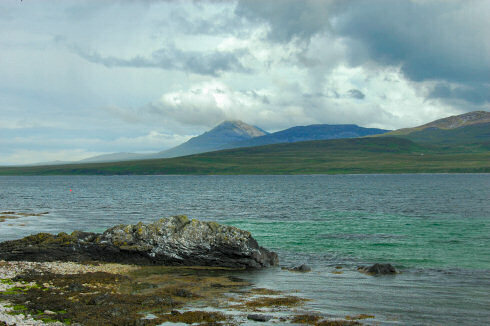 This is a view over the Sound of Islay to the Isle of Jura, right from the shore near Rubh' a' Chladaich on the way to the bothy at An Cladach. This was going to be one of the last pictures I took during that walk, the black clouds you can see on the right turned into some quite heavy rain. Far too heavy to expose my camera to it. With that I'm going to say good night for today, have a great Burns Night followed by a great weekend!